The dynamic composing duo at the heart of the classic were first approached to write a musical directly for TV, a novel idea that became a popular format of the 1950s. What really sold them on the project was the star power of Julie Andrews, who was then starring in My Fair Lady on the Great White Way. Its leading lady in place, the pair went on to pen some of their most memorable show tunes including 'Impossible/It's Possible', 'Ten Minutes Ago' and 'In My Own Little Corner' as well as infuse the widely known story with new characters and their own surprising twists. An amalgamation of Rodgers and Hammerstein's 1957 story and Charles Perrault timeless French version 'Cendrillon, ou la Petite Pantoufle de Verre', this striking Cinderella's book is given a fresh spin by American playwright and screenwriter Douglas Carter Beane. The titular heroine is still forced into a life of servitude by her villainous step-mother and vapid step-sisters but this Cinders has gumption in spades and two special friends to confide in - the revolutionary Jean-Michel and the forrest-dwelling Crazy Marie. 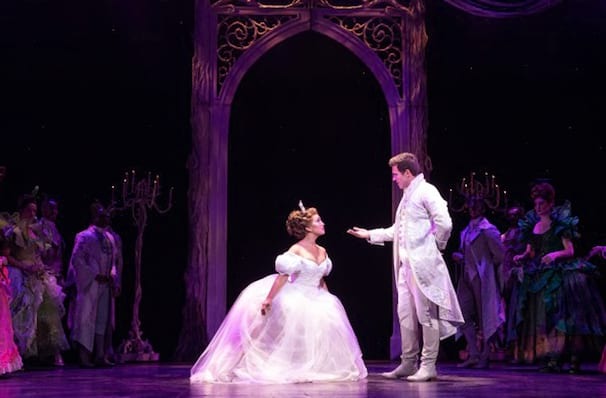 When Marie reveals herself to be her fairy godmother, Cinderella makes her way to the ball. Thrown in an attempt to find a bride for the kingdom's young and handsome Prince Topher, the ball isn't exactly Topher's cup of tea, but when he meets Cinderella he's fascinated by her sense of fairness when she opens his eyes to the injustices that lie just beyond the castle walls. The clock strikes midnight and a happy ending waits expectantly in the wings! Sound good to you? 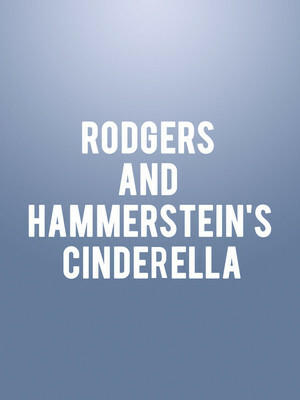 Share this page on social media and let your friends know about Rodgers and Hammerstein's Cinderella at Paper Mill Playhouse.